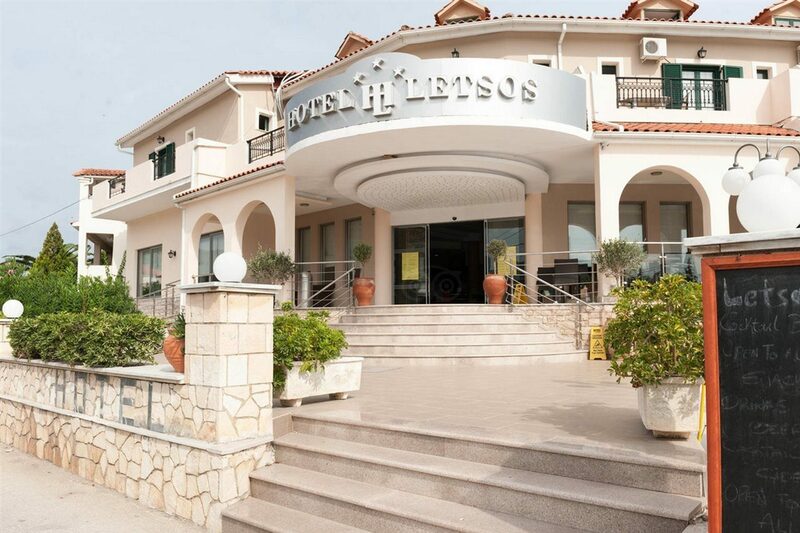 Located in Alykanas on the northern coast of Zante is the three-star Letsos Hotel. This sun-drenched resort provides the perfect base for your family holiday. 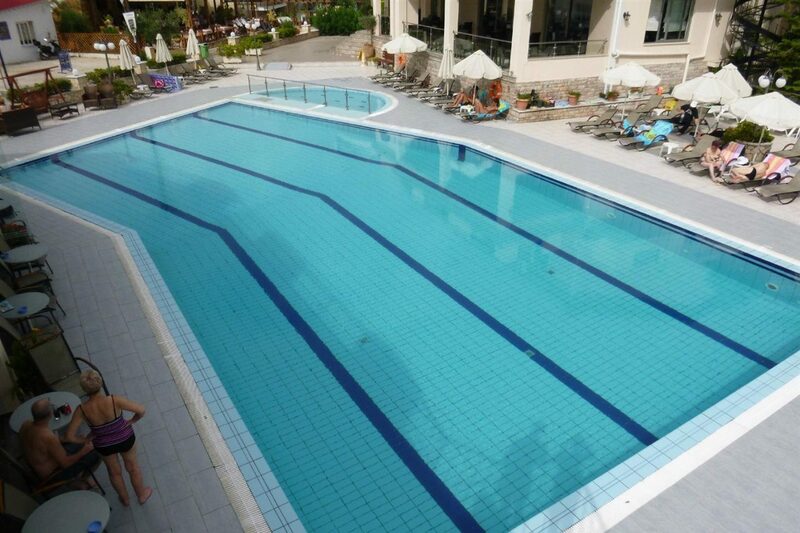 Relax by the large swimming pool, making the most of the drinks from the poolside bar. Or take the short walk to the nearby Alykanas Beach for golden sand and a variety of exciting water sports. Dine at the large buffet restaurant and experience traditional Greek-themed nights with live music and dancers. You can also savour freshly-grilled meats at one of the barbecue nights held here. Bring your day to a close with a signature drink at the hotel's stylish cocktail bar. For a family-friendly Greek getaway, why not try Letsos Hotel? 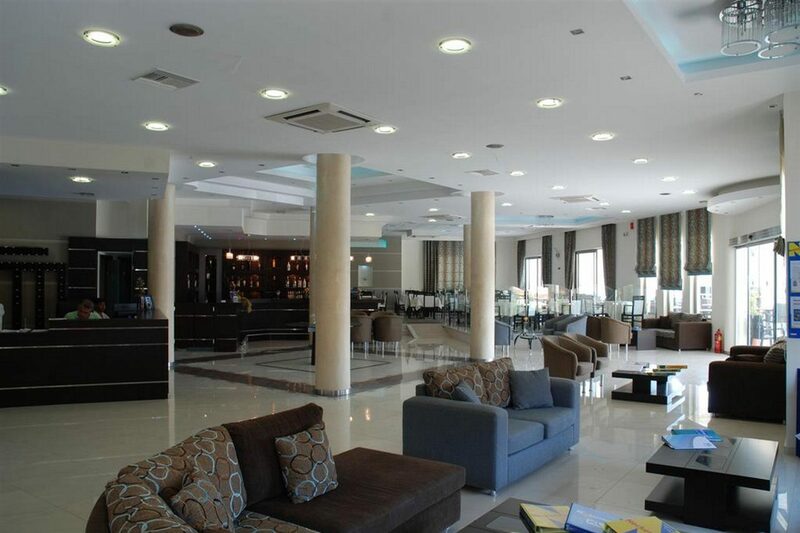 Guests staying at Letsos Hotel can enjoy: buffet restaurant, cocktail bar, swimming pool, children's pool, Jacuzzi, sun terrace, sun loungers, parasols, TV lounge, mini market, gift shop, playground, games room, and 24-hour reception. 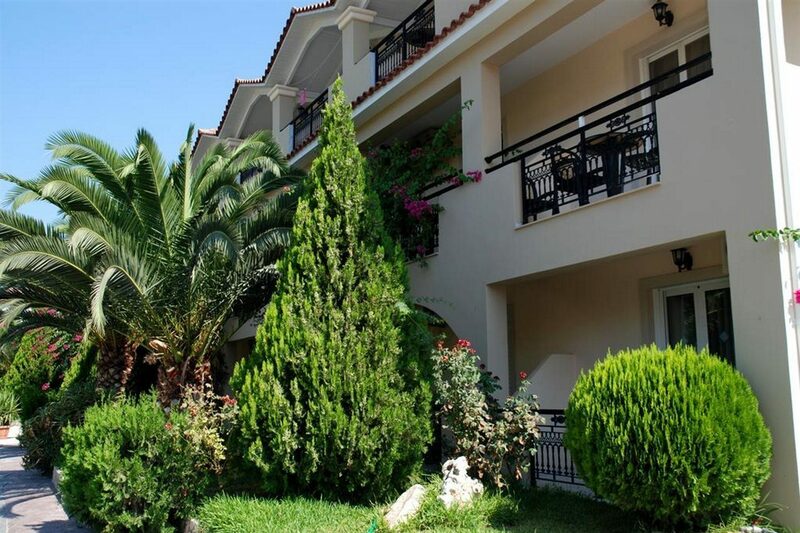 Hotel Letsos offers stylish villas and guest apartments. 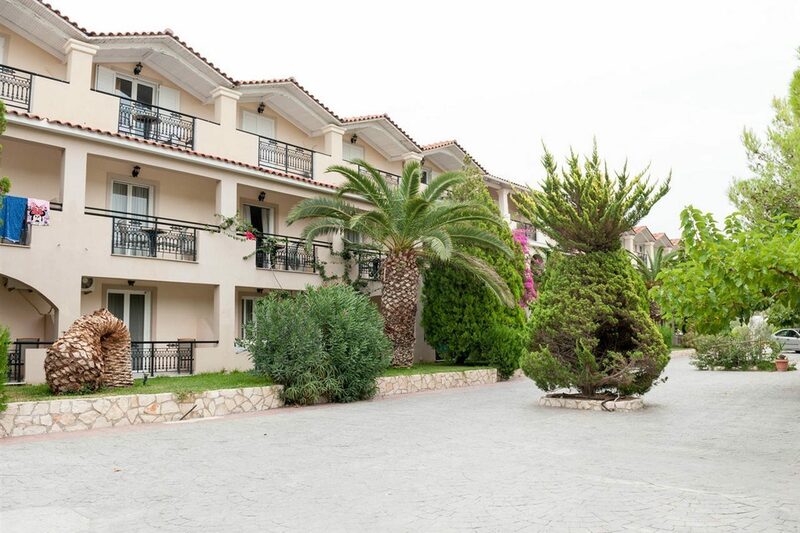 All rooms feature: en-suite bathroom (with bath and shower), furnished balcony or terrace, spacious living room, TV, hairdryer, equipped kitchen (with washing machine), and air-conditioning. Visit the main restaurant at breakfast and dinner times for delicious buffet meals including local and international dishes. Weekly Greek-themed nights and barbecues take place with buffets, local dancers, and live music. The stylish cocktail bar is the perfect place to spend your evenings, with comfortable seats and an extensive drinks menu. need replacing, but, you get what you pay for, and it is right in the centre of resort.